With so many to choose from, there’s a sauce for everyone. But sometimes even the chefs on our menu team can’t choose just one sauce for their order, so they create new flavors by a combinating their favorites! 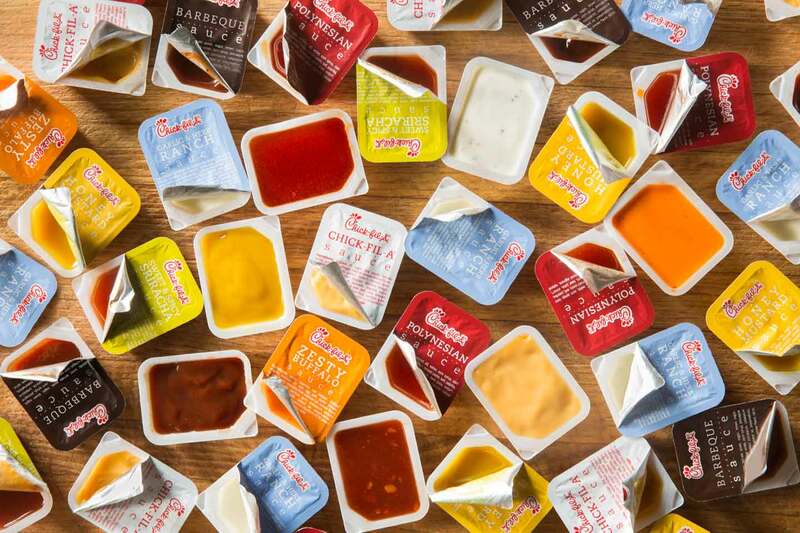 While Angela Wadlington’s preferences depend on what she’s eating, they mostly revolve around the #1 sauce on the Chick-fil-A menu: Chick-fil-A Sauce . Wadlington (who has developed more than a dozen menu items) likes Chick-fil-A Sauce with her waffle fries, mixing Chick-fil-A Sauce with Buffalo Sauce for her nuggets, and to heat things up she adds Sweet & Spicy Sriracha Sauce to her Egg White Grill. Like Wadlington, one pairing just isn’t enough for Christy Cook either. Cook, a chef and nutritionist, enjoys mixing Chick-fil-A and Polynesian sauces to create a sweet addition to her meal. She combines Sweet & Spicy Sriracha, Garlic & Herb Ranch and hot sauce (yes, you can ask for hot sauce in the restaurant!) to create a spicy dipping sauce for nuggets and strips. Shona Jonson has been part of the menu team since 1999 and has tried just about every combination there is. Her favorite combination for dipping nuggets: Sweet & Spicy Sriracha and BBQ Sauce. She has to have her Grilled Chicken Sandwich smothered with a zesty blend of Honey Roasted BBQ and hot sauce. Finally, all Jason Stanfield, who manages the menu team, needs is the pairing of a few classics: Zesty Buffalo, Garlic & Herb Ranch and Chick-fil-A Sauce. “You know what’s better than one sauce? Two or three sauces!” he says.